"Can You Top This" debuted on radio in 1940. 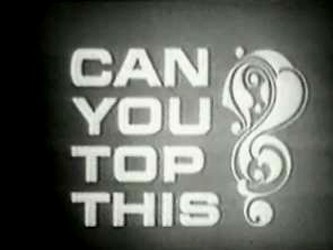 "Can You Top This" first debuted on ABC on October 3, 1950 last airing on March 26, 1951. 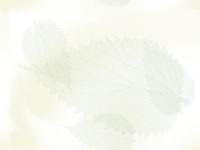 Hosted by Ward Wilson. and featured Morey Amsterdam as Executive Producer and regular panelist. This time lasting only eight months. [06-10] Can You Top This? [11-15] Can You Top This? [16-20] Can You Top This? [21-25] Can You Top This? [26-30] Can You Top This? [31-35] Can You Top This? [36-40] Can You Top This? [41-45] Can You Top This? [46-50] Can You Top This? [51-55] Can You Top This? [56-60] Can You Top This? [61-65] Can You Top This? [66-70] Can You Top This? [71-75] Can You Top This? [76-80] Can You Top This? [81-85] Can You Top This? [86-90] Can You Top This? [91-95] Can You Top This? [96-100] Can You Top This? [101-105] Can You Top This? [106-110] Can You Top This? [111-115] Can You Top This? [116-120] Can You Top This? [121-125] Can You Top This? [126-130] Can You Top This? [131-135] Can You Top This? [136-140] Can You Top This? [141-145] Can You Top This? [146-150] Can You Top This? [151-155] Can You Top This? [156-160] Can You Top This? [161-165] Can You Top This? [166-170] Can You Top This? [171-175] Can You Top This? [176-180] Can You Top This? [181-185] Can You Top This? [186-190] Can You Top This? [191-195] Can You Top This? [196-200] Can You Top This? [201-205] Can You Top This? [206-210] Can You Top This? [211-215] Can You Top This? [216-220] Can You Top This?